Dating back over a 100 years, the United States laid claim to much of the Arctic region. 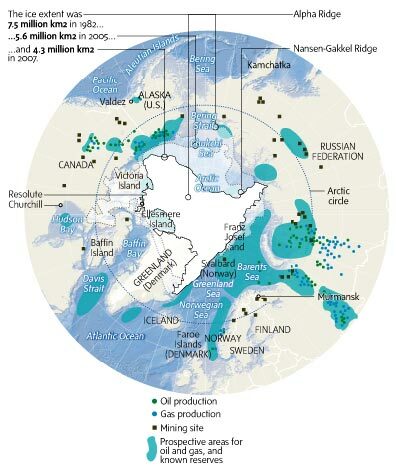 The Arctic region is known to hold large amounts of untapped oil and gas reserves. The United Nations previously canceled all land claims in the Arctic region. This is in response to these territories being at the center of several disputes between the United States, Russia, Canada, to a large degree, and it also includes Norway and Denmark, to a smaller degree. Under the UN Convention on the Law of the Sea, which was finalized in 1982, countries can lay claim to the ocean floor well beyond their borders so long as they can provide convincing scientific evidence to prove that a particular seabed is an extension of their continental shelf. Already, countries have sovereign rights to resources within 200 nautical miles of their territorial waterways. For a country to determine whether they have economic sovereignty beyond that distance, the UN agreement requires comprehensive mapping that establishes some sort of geologic justification for the claim. And where the Arctic is concerned, Canada, the US, Norway, Russia, and Denmark have been amassing scientific evidence for more than a decade in an effort to increase their piece of this resource-rich pie. The process of determining the national origins of several sea shelves is a multi-generational endeavor. The United Nations is dragging its feet on making any determination as to the validity of claims upon the Arctic region. It appears that the failing world’s national economies cannot afford to wait 20, 30, 40 years before laying claim to such a vast amount of wealth. This is a prescription for war and I submit that this is being done deliberately by the globalists controlling the UN. The United Nations is ultimately controlled by the global elite. In fact, the origins of the modern UN owes its location and prominence to David Rockefeller who provided both the seed money and the land in New York City for its present location. The ubiquitous purpose underlying the shenanigans of the global elite is to establishorder out of chaos, or more accurately, the New World Order out of manufactured chaos. 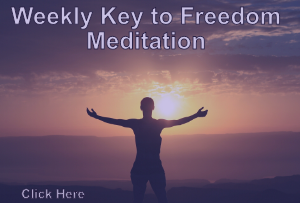 The best way to build the New World Order is to destroy the old one and the most efficient method of doing that is creating the conditions that will lead to World War III. While all eyes are on Ukraine, Syria and Iran, we should be focused on the North Pole. For it is in the Arctic that war drums are beating. By purposely delaying the determination of rights of claim to Arctic land containing vast amounts of mineral resources, the United Nations has all but guaranteed that a war will be fought to determine control over the region and its resources. The remaining part of this article will describe the arms race and secret war games being conducted in preparation forWorld War III in the Arctic. Agneta Nordberg is the Vice Chair of the Swedish Peace Council, a member of the Steering Committee in The International Peace Bureau (IPB), and she is highly concerned that Sweden is being used by the United States and its NATO allies to conduct their war games on Swedish soil. Sweden is a supposed neutral country and has signed agreements in opposition to exactly what is going on which are secret war games on its soil. And if it were not for a Norwegian military plane crash into Mount Kebnekaise, the world would never have discovered these secret war games taking place in northern Sweden and Norway. Nordberg stated that the reason for the war games is because of the melting icewhich has exposed the vast amounts of mineral resources, the largest in the world. 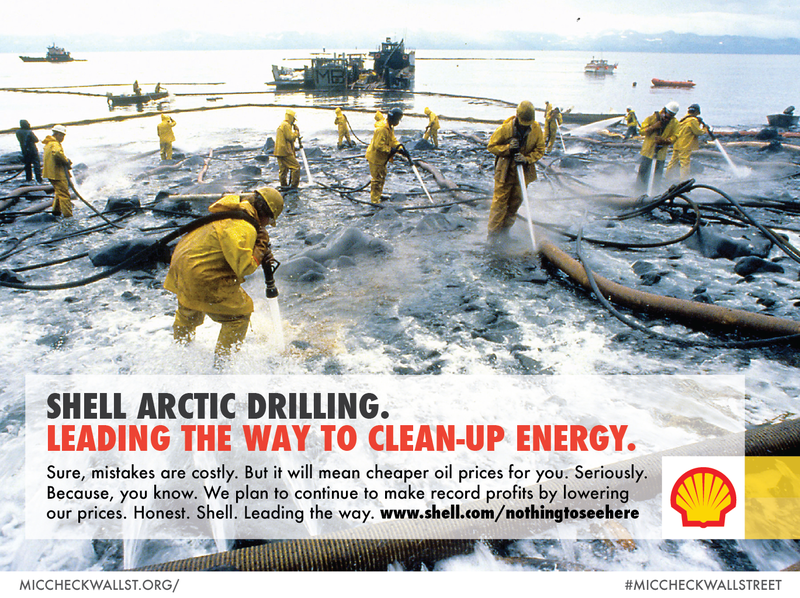 It is not an overstatement to proclaim that whoever controls the Arctic, will someday control the world’s economy. Since 2007, there have been massive NATO Arctic war maneuvers in both Sweden and Norway with all of NATO, and specifically, the United States. One of the war games was dubbed the Nordic Air Meet, in 2007, where most of NATO took part in massive war games designed to protect interests in the Arctic from Russian incursion. Again, in 2009, operation Loyal Arrow, was held which was the largest air war game in history involving the northern part of Sweden, Norway, and also in Finland. These Arctic war games have continued with the Cold Response №1, a winter maneuver in the northern part of Sweden and northern Norway. And another war game took place in March of 2012, known as the Cold Response №2. In a very provocative move, both NATO and the U.S. have installed an advanced radar system only a few kilometers from the Russian border known as the Vardo radar system. Vardo is dangerous because it is embedded within a missile defense system. This system is a checkmate against Russian offensive missile weapons systems located near the Arctic. The installation of Vardo is an act of aggression and, in some circles, is considered an act of war. Follow the money and all questions will be answered with regard to America’s enemies and their designs on control of the Arctic, most notably, the Russian government and its military. A clear picture on why Russian soldiers are being spotted in many locations inAlaska is also becoming transparent. This story starts with the giveaway of seven oil rich Islands which should be a part of Alaska but was given away to Russia when Obama was elected President. The giveaway of these Islands constitutes treason by Obama. Senator Begich from Alaska wrote a letter in response to my previous claims of treason with regard to the giveaway of these Islands and said that these Islands always belonged to Russia and the proof for this dates back to 1867. Then this should have never been a point of contention in the Alaska media, and it was, when the transfer was made (See the map featured below of the disputed Islands that appeared repeatedly in the Alaskan media at the time of the transfer). My military sources should not be concerned with thisgiveaway if this was only a benign giveaway, but they are highly concerned as they have pointed out to me that three of the Islands could be ideal origination points for a Russian invasion of Alaska. The other four Islands serve to support Russian military forays into the mineral rich Arctic region. 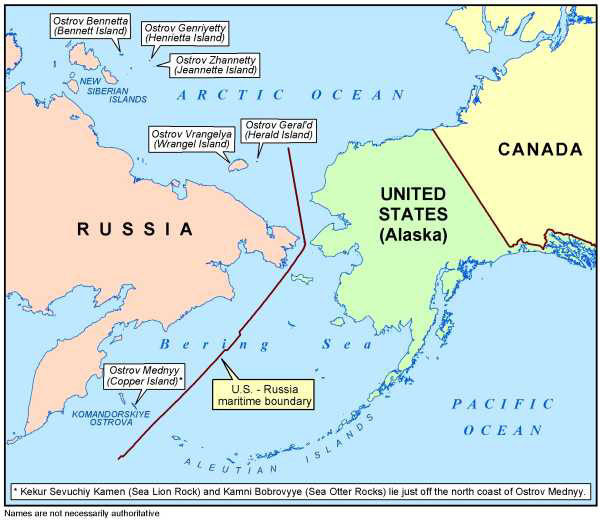 The duplicitous nature of the Begich letter, published by a reader, in the comment section of my website, should be cause for concern because the emerging facts suggest that Russia is preparing to conquer and possess the mineral rich resources of the Arctic. 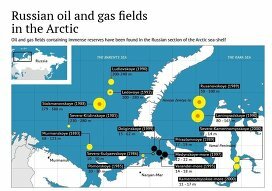 Operating under the notion that a picture is worth a thousand words, let’s take a look at the seven disputed Islands and Russian mineral retrieval activities in the Arctic. Now compare the Russian Arctic mineral retrieval activities and the military significance should jump off the page at the reader. 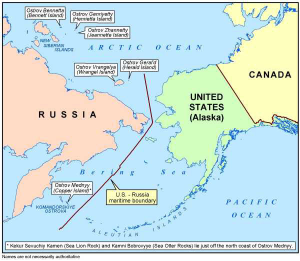 There are additional Russian Arctic territorialclaims which conflict with US territorial claims. Russia is making several territorialclaims in relation to several Arctic shelf areas and is planning to defend their claims to the United Nations. After reading the final section of this article, I believe the Russian intention of obtaining UN approval is merely window dressing. They are preparing totake what they want by whatever means necessary. For the Russians to realize their Arctic goals, Alaska would have to be neutralized and the groundwork has been laid for this eventuality. Additionally, a successful Russian takeover of the Arctic would depend on the neutralization of America’s nuclear capabilities. This objective is being carried out by Obama as I write these words. To Obama and Begich, I would ask both of you if this is just a misunderstanding which can be explained away by using the word, COINCIDENCE, because we know that in the shadowy world of Washington DC and the corporate controlled media, there is no such thing as a conspiracy. Conspiracies aside, Obama and Begich will have fun explaining the following publicized military activities of the Russians which never really died. All five of the previously mentioned nations, along with China, haveterritorial and mineral claims with regard to the Arctic and these claims conflict with each other and form the breeding ground for WW III. The Russians are in war mode, Arctic war mode. I do not see how any reasonable person could read the following accounts of Russian military buildup in the Arctic and not conclude that the spark for WW III will not begin here. Russia is adding 40 new naval ships to its nuclear arsenal in 2014. By the end of 2015, Russia will have nearly as many naval ships as the United States. Retrofitted combat aircraft from Russia’s Northern Fleet will extend the ranges of their patrol flights over the Arctic in 2014 using a network of revamped Soviet-era airfields. The Russian fleet’s Tu-142 and Il-38 reconnaissance and anti-submarine warfare aircraft carried out over 30 patrol missions in the Arctic last year. The Russians have announced their intentions to carry out many more such missions. Ballistic missile submarines make up one part of Russia’s strategic nuclear triad along with land-based ICBMs and the Russian bomber force. The Borey submarine is Russia’s first post-Soviet ballistic missile submarine class and will form the mainstay of the strategic submarine fleet, replacing aging Typhoon, Delta-3 and Delta-4 class boats. The creation of the Borey signals that the Russian economy is in war mode. Russia ultimately expects to manufacture eight Borey-class submarines by the year 2020. People constantly are asking me for time frames connected to these events and I dismiss such questions as a fool’s errand. However, the deployment of these submarines by 2020 may provide a clue as to the timetable that the globalists are operating under. Oh yes, make no mistake about it, this coming war will not happen without the blessings of the Bastards from Basel. Additionally, the Russians are commissioning other submarines as well. Russia’s first Project 885M Yasen-class attack submarine, the Severodvinsk, was handed over to the navy at end of 2013. This submarine has been under construction since 1993. This fact goes a long way to justify the claims made by several Russian defectors that the Soviet Union never really fell and always planned to attack the United States at some future date. If enough people were to hold Begich’s and Obama’s feet to the fire, they would have some very difficult explaining to do. I think it is little wonder that Congress is in the process of taking capital punishment off of the books for a conviction of treason. Many are probably wondering about the presence of Russian troops in the lower 48 states. And what about that bilateral agreement between FEMA and the Russian military to bring thousands of soldiers to US soil.